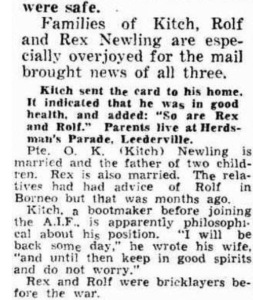 Rolf Newling was the eldest of 3 brothers who enlisted into 2/4th. 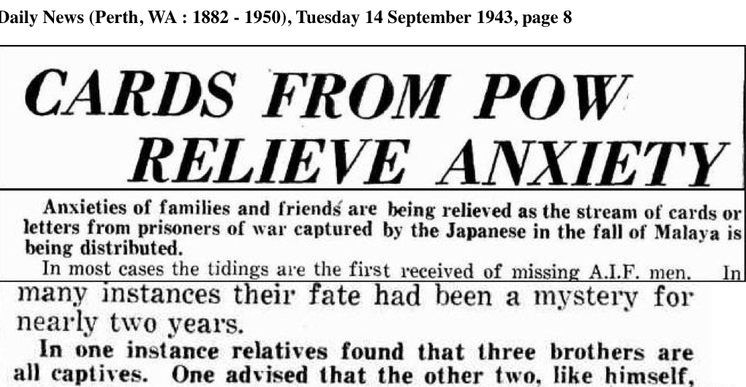 Rolf died on the ‘Death March’ Ranau in June 1945. Osward Kitchener WX17458 and Rexford Frank WX8432 both died of malaria at Kuii Camp, Thailand about a month apart in 1943. 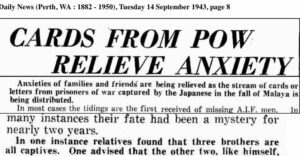 Rolf Newling family – his daughter Joan Dalwood – see stories for more information. Rolf’s parents Willian John Newling and Lillian Mary Walker married in 1905 at Mt. Hawthorn. William born in Victoria 1880, died in 1943 at Wembley and Lillian died in 1966. 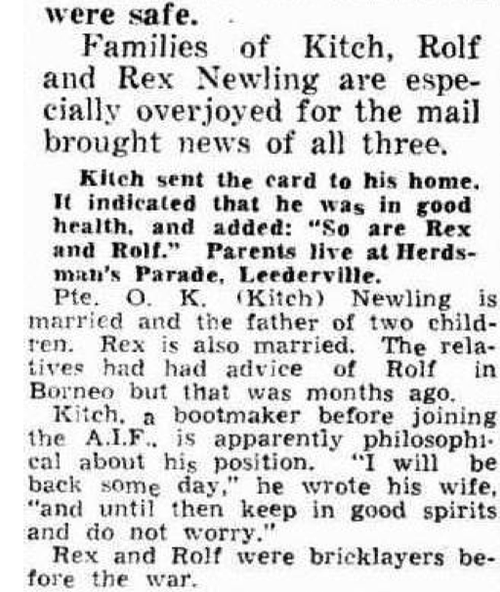 Rolf married November 1925 to Eileen Alice McComish. The couple had two children. Sadly for the family, Eileen and Rolf divorced in 1938.